We are excited to do another event at a great venue, Ginteria. 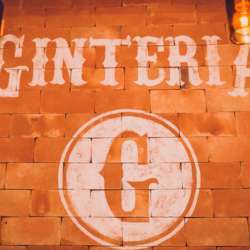 Ginteria is the first bar to have its focus be Gin. The venue has more than 20 types of Gin for Gin Lovers to enjoy and appreciate. Drinks are made by bartender Alex Azarias. Ginteria has a bit of everything. First floor is a bar with veranda, a more calm atmosphere to eat and drink. The veranda will be reserved exclusively for us. Second Floor, or mezzanine, is a club atmosphere with great Djs. Third Floor is a Rooftop. The idea is to enjoy the best a balada has to offer during the week at an earlier hour. The event starts early and ends early, so you can get in some networking and dancing and still get home early to wake up the next morning. Menu is varied. Possible to have dinner or share petiscos with your friends. Arrive before 21:00 for the price below; and please pay in cash.